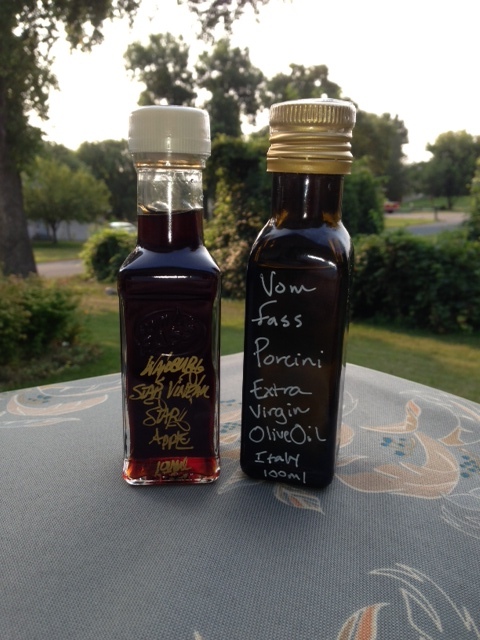 My son-in-law stopped by my new Vom Fass shop in Kowalski’s Markets in Woodbury, MN, last week and bought apple vinegar and porcini extra virgin olive oil. The results were the most amazing steaks I’ve ever eaten! We used marinade for 4 porterhouse steaks. Let steaks marinate 4 to 48 hours, then grill. The Apple Balsamic Vinegar acts as a tenderizer, and combined with the liquid smoke, it gives it a slight apple-wood flavoring.